first annual spring open house: you are invited! new pictures of pretty scented things! 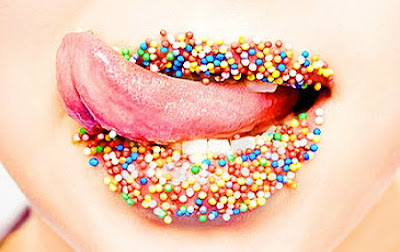 eating your lipstick: some common sense! How good were our goodies? You are invited to join us on May 12th, 2012 for our 1st annual Dot & Lil spring open house & tea party. 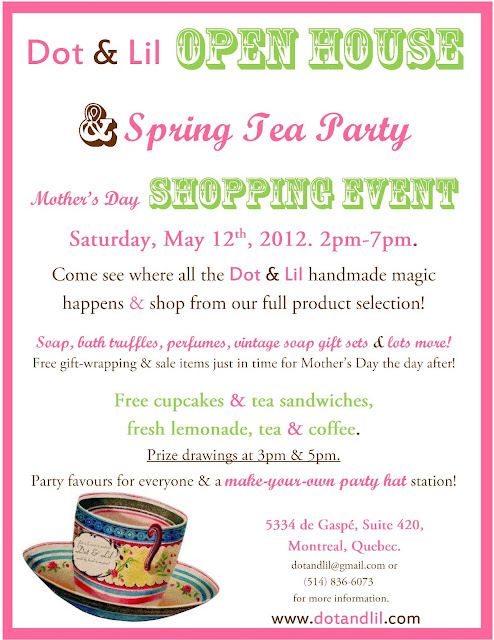 2pm-7pm at the Dot & Lil studio, 5334 de Gaspé, suite 420. We will have prize drawings at 3pm & 5pm. I wanted to share a few new pictures of Dot & Lil goodies. I actually took and edited these myself, which is new for me, so let me know what you think! Well, I've gotten a few calls already from people who loved Dot & Lil goodies they received for Christmas. It's a great feeling to know that something I made is what made someone smile on Christmas morning! If you have any questions about a Dot & Lil product, please email us at dotandlil@gmail.com and we'll get back to you A.S.A.P.